As these words flowed from my lips, I knew something was happening to me. It was as though someone else was speaking through me. I could not resist. I kept speaking. I could hear myself saying, “Give us this day our daily bread” and the rest that follows, but the whole landscape melted away. The trees, the field and the hills in that moment began to move as if it was liquid oil reflecting light. I could still hear myself from a distance faintly still whispering the Lord’s Prayer as my whole being was passing through dimensions that, until this day, I can hardly find words to describe. Streams of light and fire gave forth sounds of great harmony. I saw men and women clothed with garments reflecting various colors of light that mimicked the rainbow. I beheld creatures the likes of which I have never seen. I heard my inner man speaking the name of the LORD in Hebrew. I spoke the name of “Jesus the Messiah. The pattern and process of The Lord’s Prayer was the magma in which the stone of my prayer life was formed. It’s meditation has never failed to yield fruit. The Lord’s Prayer holds gates within its sentences, channels of deep spiritual terrain that our souls can traverse in God our Father. The prayer holds keys that unlock the spiritual possibilities in our body, soul and spirit and launch us into deeper spiritual experiences. 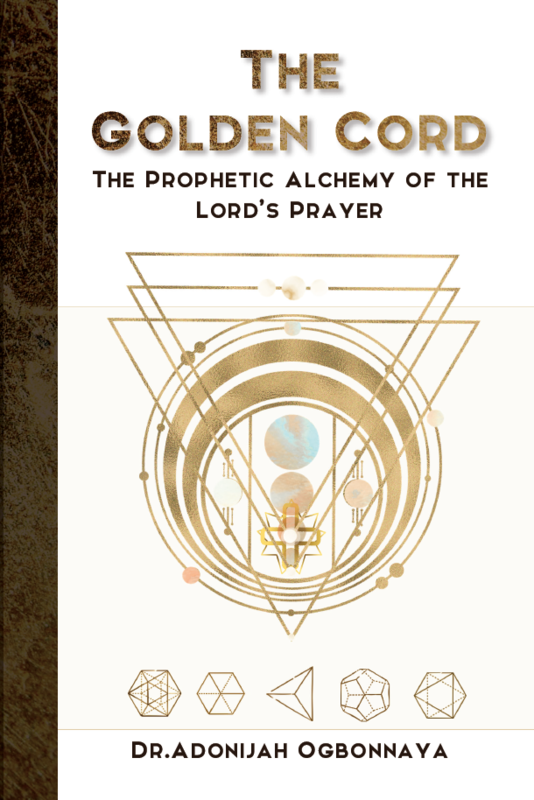 It is the Golden Cord which harmonizes and connects us from this temporal dimension into eternity. In this book, I will provide you with a guide on ways to enter into prayer and tap the supernatural realm. I describe straightforward ways to understand and practice your spirituality. You will encounter interpretations and principles that have been proven in the lives of many. They will help you transcend some of the spiritual constructs that have limited your ability to overcome certain obstacles. The language of prayer, especially as we find it in the Lord’s Prayer, is language for releasing miracles directly into life-world. You will discover that, through prayer, you can actually access a life of miracles and joy.